(unfinished) JS Electron desktop app to share music playlists. Parallel Browser Engine Project, designed to replace Gecko. Civilized manner to watch streaming sites: with mpv. Easily extensible to add new sites. Automatically generates Rust FFI bindings to C (and some C++) libraries. 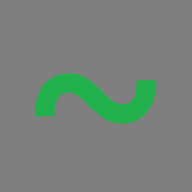 Feed is a RSS 2.0, Atom 1.0 and Json Feed 1.0 generator for Node.js, based on work from Jean-Philippe Monette and initiated by a need of the PeerTube project. Simply showing current private IP in GNOME shell status bar if Network Manager is used.